Operation Christmas Child is a project of the international relief organization, Samaritan’s Purse. Our mission is to provide local church partners around the world with shoeboxes filled with small toys, hygiene items, and school supplies as a means of reaching out to children in their own communities with the Good News of Jesus Christ. We ship these simple gifts from Canada, the United States, the United Kingdom, Australia, New Zealand, and several other “sending” countries to children in the developing world and countries affected by war, poverty, natural disaster, famine, and disease. Distributions also occur in Aboriginal and Inuit communities in North America. Can I find out where is my shoebox sent? Yes, with our online shoebox orders, you can! When you pack your online shoebox(es) with us, you can choose to follow your box. We will email you when we know which country your shoebox(es) will be sent to. The email will share about the impact that shoebox gifts are having on children, their country, and the spreading of the Gospel message. Destination countries are chosen and announced in late December. Who started Operation Christmas Child? The program was started in the United Kingdom in 1990 by Dave and Jill Cooke. Three years after this beginning, the Wales-based shoebox gift project merged in a partnership with Samaritan’s Purse, allowing us to share 20 years of expertise in relief and aid work with the project, and expand the reach of the shoebox gifts to more than 28,000 children that year. Since 1993, Operation Christmas Child has delivered gift-filled shoeboxes to over 146 million children in more than 100 countries. Shoebox gifts are a way to demonstrate God’s love in a tangible way to needy children around the world, and together with the local church worldwide, to share the Good News of Jesus Christ. What happens after my shoebox gift is delivered? Our local ministry partners distribute your shoeboxes to children in their communities. After receiving shoebox gifts, many boys and girls are invited to enroll in The Greatest Journey, our 12-lesson discipleship program. Through the program, our local ministry partners are able to establish long-term, caring relationships with children and families by sharing the love of Jesus Christ. Click here to learn more about the eternal impact of a shoebox. Are gifts delivered by Christmas? The shoebox gifts start shipping from our processing centers by the middle of December. Most of the gifts are sent via ship. Some may not clear customs in receiving countries until spring. In addition, many countries that receive the gifts must transport the gifts to rural areas using very poor roads. Distributions typically occur from late January through spring each year, extending the joy of Christmas to children that receive them! Can I sponsor the child who received my shoebox gift? Operation Christmas Child is unable to facilitate this; however, if you are contacted by your recipient child, you may be able to build a relationship with them. Samaritan’s Purse does have a gift catalog with several items supporting young children. It takes $6 to provide a child the opportunity to participate in the 12-lesson discipleship program, which includes a certificate and a New Testament in their language. Is this project forcing religion on the child who gets a gift? Samaritan’s Purse and Operation Christmas Child seek to demonstrate God’s love in a tangible way through each shoebox gift. One of our core values is to never be manipulative. We work in and through local volunteers in each country that understand their context and are respectful to the people they serve. At the same time, we do seek to share the Gospel wherever we go, which can be challenging at times. In some regions, we are not permitted to distribute literature, but we are still grateful for the opportunity to bless the children with gift boxes carefully prepared by people who love children. Boys and girls do not have to do or say anything to receive their gifts. How do I pack my shoebox gift? Everything you need to learn how to pack a shoebox gift can be found here. That includes what kind of box to use, what items can be included, how to learn the destination of your shoebox gift, and much more! Where can I get a box to fill? You can use any shoebox, cardboard or plastic. Operation Christmas Child also has red-and-green boxes that are also available to order now. What items are allowed in my shoebox gift? You can find a list of suggested items and items not to include here. Where do I get basic shoebox labels? You can download basic boy and girl shoebox labels here. What is the $10 suggested donation per box? When is the deadline for sending my shoebox gift to you? Do you redistribute items in the boxes if they are too full? We understand and respect that you carefully choose the items you include in your shoebox gifts. Volunteers at our processing centers are trained to remove only items on the “do not include” list found on our website. When these items are removed, they are donated to local charities and still put to good use. Where do the shoebox gifts go? Countries vary from year to year. If you pack a box online at PackaBox.ca you can discover the destination of your shoebox. Can I select where my shoebox gift is sent? Our goal is to collect and distribute millions of shoebox gifts in over 100 countries this year. Because of the tremendous growth of Operation Christmas Child, the logistics involved in collecting, processing, and distributing this many boxes prevent us from designating specific boxes for certain countries or climates according to the contents. We can assure you, however, that whoever receives your box will need and appreciate your gift. Can This Go in My Shoebox? Card games with animals, numbers or letters can be included in your shoebox gifts. However, poker cards or face cards (King, Queen, Jack, Ace) are not allowed, as the countries we ship to, have asked us not to send them as they cause challenges in their communities. Can dice go in a shoebox gift? No, with or without a game, dice are not appropriate. The countries we ship to have asked us not to send them, as they cause challenges in their communities. How about little toys like spiders, bugs, snakes, etc.? All of these items are allowed. Yes, batteries can be included in your shoebox gifts. Can videos, CDs, and DVDs be included? Yes, all of these may be included in your shoebox gifts. However, keep in mind that the children may not have a DVD player or CD player available. Can we include paint sets or glue bottles? No, both of these items are liquids and can’t be included in your shoebox gifts. However, dry paint sets (such as watercolors) or glue sticks are OK to pack! Can we include a toolkit with nails, screws, screwdrivers, and hammers? Yes! The only tools that can’t be included are saws or pocketknives. Yes! Scissors are OK to include in your shoebox gifts. Can items with camouflage be included? If the child can wear or use the items without looking like a soldier, they are OK to include in your shoebox gift. Pink or colored camouflage is safe as are pencils, wallets, or socks. However other camouflage items like hats, t-shirts, pants, shorts or backpacks (any camo colors) could make the child look like a soldier, so those items are not appropriate. Squirt guns can be included as long as they do not look like real guns. Brightly colored squirt guns are great to pack in your shoebox gift. Can glow sticks go in a shoebox gift? Yes, glow sticks are OK to pack in your gift. If the tube breaks, the liquid does not spill out and can’t damage other items. Can we include wet wipes? Yes, wet wipes do not have enough liquid to spill out into the shoebox so they are OK to include in your gift. Can rubber balls be included if they have liquid glitter inside? No, these would be considered inappropriate because of the liquid. What type of candy is allowed in shoebox gifts? No type of candy is allowed in shoebox gifts, due to increasing customs regulations. Please email us at occ@samaritan.ca if you have any questions. Is lip gloss OK to pack in a shoebox gift? Lip gloss is a liquid and can’t be included. However, lip balm or lipstick can go! Can I include toothpaste in my shoebox? Toothpaste is not allowed in shoebox gifts, due to increasing customs regulations. Please email us at occ@samaritan.ca if you have any questions. Is play dough OK to pack in a shoebox gift? Yes, play dough can be included in your shoebox gift. However, some children might think it is edible. Can compact mirrors go in a shoebox gift? Yes. Compact mirrors can be included because if the glass shatters, it will be contained. Matches are not allowed in shoebox gifts due to shipping regulations. What is Follow Your Box? Those who pack shoeboxes for Operation Christmas Child online at PackaBox.ca can discover the country destinations of their gifts. How do I follow my box? By going online and packing a shoebox gift at PackaBox.ca you can find out the destination country of your shoebox gift. You will receive an email when we know which country your shoebox(es) will be sent to. The email will share about the impact that shoebox gifts are having on children, their country, and the spreading of the Gospel message. Where should I take my packed shoebox gift? We have drop-off locations around Canada during National Collection Week, the third week in November each year. Find the location nearest to you here. Do you accept shoebox gifts year-round or just in November? To learn more about year-round packing and other fun tips, click here. What is Build a Shoebox Online? You can still help share God’s love with children around the world even if you don’t have a way to shop for and pack an Operation Christmas Child shoebox gift. With a few clicks of your mouse or swipes on your touchscreen, you can build a shoebox online. Make it your own by choosing from a list of gifts, and adding a personal letter and photo. We’ll pack your shoebox and send it for you, for a suggested donation of just $40. You can access PackaBox online here. Can I follow my shoebox gift if I build it online? Yes! Shoebox gifts can be built online here. We will email you when we know which country your shoebox(es) will be sent to. The email will share about the impact that shoebox gifts are having on children, their country, and the spreading of the Gospel message. Destination countries are chosen and announced in late December. What is The Greatest Gift? 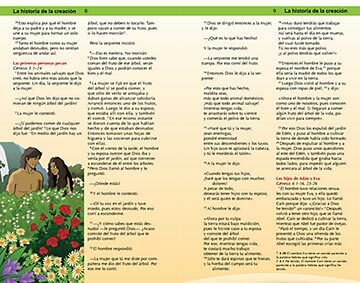 This Gospel booklet available in more than 75 languages is given out with shoebox gifts around the world. 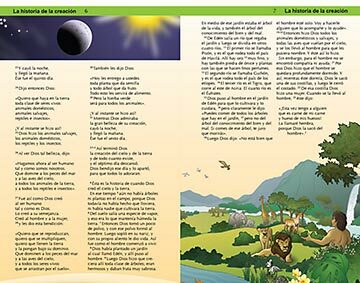 With the Apostle John as narrator, the booklet shares 11 Scripture stories and invites children to follow Christ. 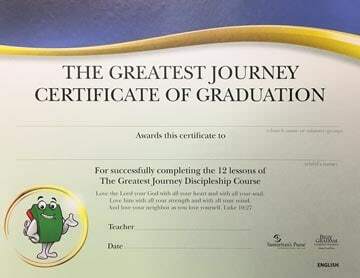 What is The Greatest Journey? The Greatest Journey is a discipleship experience offered by local churches to many of the children who receive shoebox gifts. 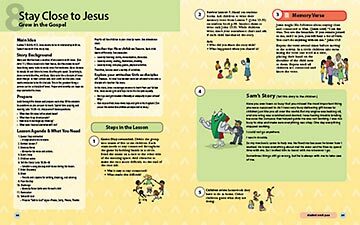 The 12-lesson program introduces boys and girls to salvation through faith in Christ and encourages them to grow as faithful followers. 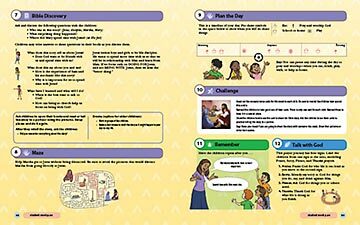 This connects children to local churches who can, through discipling relationships, teach and nurture the children in faith. The Greatest Journey is an investment not only in children, but also in the teachers and the local churches that can learn, grow, and continue to serve Christ with the momentum that is gained through the program. 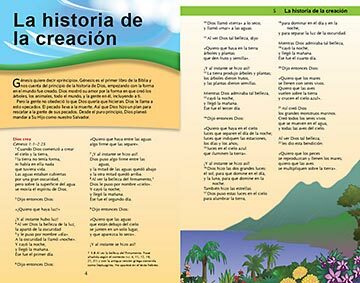 It takes $6 to provide a child the opportunity to participate in The Greatest Journey and receive discipleship materials, including a certificate and New Testament in their language. You can support The Greatest Journey here. What are the roles at a processing center? Every volunteer in the processing center plays an important role in the ministry of Operation Christmas Child, ensuring the integrity and successful delivery of the gifts. Volunteers in the processing center form teams and perform all the tasks necessary to process the shoeboxes at one location. Teams are responsible for removing financial contributions from the shoeboxes, inspecting the gifts, sorting inappropriate items, working with filler items, separating boxes by age and gender, and boxing shoeboxes in designated cartons. Due to the fast-paced environment of the warehouse and changing needs, you may be asked to do different tasks. We appreciate your flexibility. Yes, visit seasonal employment opportunities on our website. We recruit staff to help coach volunteers in the processing center. What are the dates of operation? Processing centers are open late November to mid-December to prepare gifts for international shipping. All volunteers must be at least 14 years of age, regardless of a student’s grade level. Due to the warehouse environment, we can’t allow exceptions to this age requirement. At least one chaperone for every five youth is required (youth volunteers include any volunteers between the ages of 14-17). The primary responsibility of a chaperone is to ensure the safety and appropriate behavior of your youth. For the safety of all volunteers in the warehouse, processing center staff reserve the right to ask any group not acting in accordance with safety procedures and outlined policies to leave the building at any time. What if my child is too young to volunteer? Children under the age of 14 are not able to volunteer in a processing center; however, tours are available throughout the season when families or groups with children under 14 or individuals who want to know more about the project can come to the processing center. The tours help people learn about the journey of a shoebox, what we do at the warehouse, and how they can pray for children receiving boxes. Tours of the Calgary processing center are available year-round, please email occ@samaritan.ca. What is the address of the processing center? The address of the porcessing center is Samaritan’s Purse, 20 Hopewell Way NE, Calgary, AB. What should I wear to the processing centers? Our processing center is set up in a warehouse, so please make proper provisions to be comfortably and appropriately dressed for this environment. It is best to be prepared with closed-toe shoes appropriate for standing for long periods, and warm, layered, casual clothes as the temperature inside can vary. Breaks are available as needed. 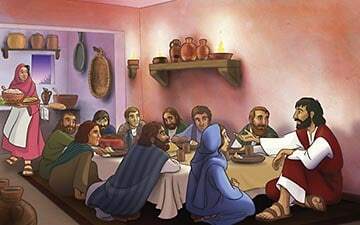 Can I bring food for my group? Yes, you can bring food for your group and use the break area in the processing center. You are welcome to take breaks as needed during your time with us. We provide coffeee, tea and light snacks, but if you are staying for multiple shifts, please bring your own lunch or dinner. All food and drinks must remain inside the break area. Please be advised that tobacco products are prohibited on the property. What if the day I’d like to serve is full? Please call or email us so we can add you to the waiting list. If spaces becomes open, we will contact you. How can I serve with Operation Christmas Child in my area? Dedicated volunteers work year-round to promote and pray for Operation Christmas Child. Starting in September, people can sign up to volunteer at processing centers as well. Check out our long-term and short-term volunteer opportunities pages. We also have a resource page full of ideas and materials that will help you, your family, church, business, or community center get involved in Operation Christmas Child.